"Ciotola da Tavolo con Fiori"
Often overlooked as a regular piece of kitchen equipment, copper bowls are very versatile and can serve many useful functions even in todays kitchens. 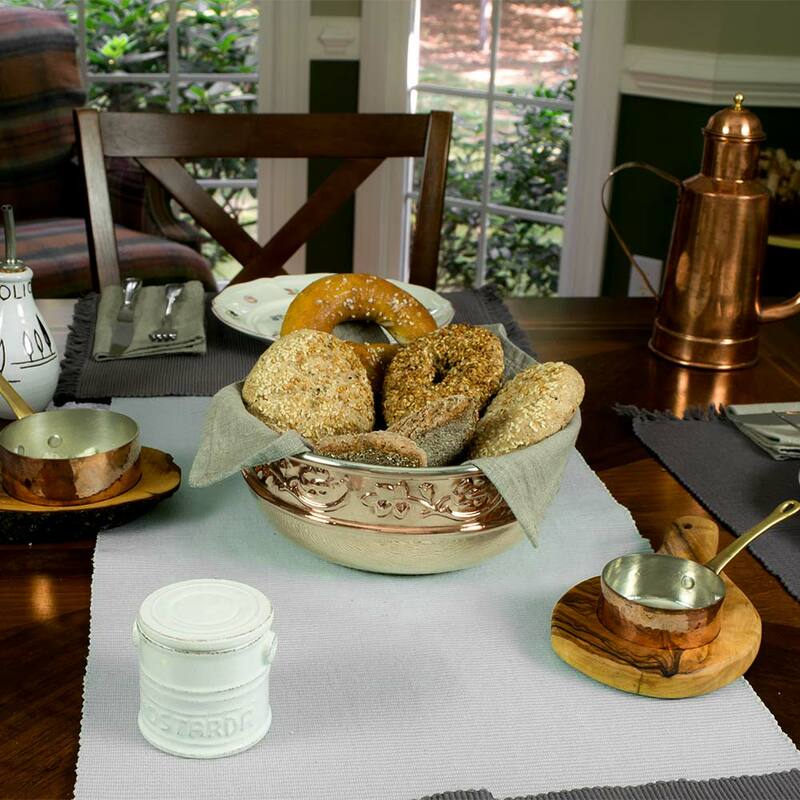 Whether used as a bread warmer for rolls or croissants in the morning or as a soup or sauce warmer on your dinner table, copper warming bowls are especially functional due to their superior heat retention abilities. Our beautiful copper bowl is 100% hand-crafted in our workshop in Ravina, Italy using one single sheet of copper. 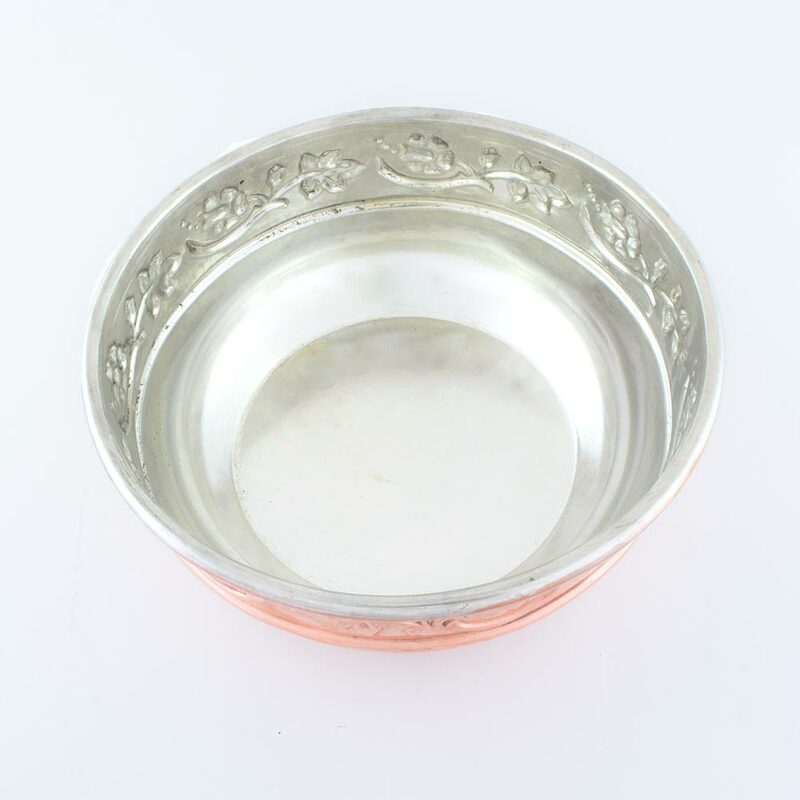 This particular bowl features a hand-hammered flower design around the entire bowl and can either be used by itself or in combination with a warming stand. Thanks to the superior heat conductivity of the copper, it is sufficient to maintain a perfect temperature for the food inside the bowl regardless of the heat source. 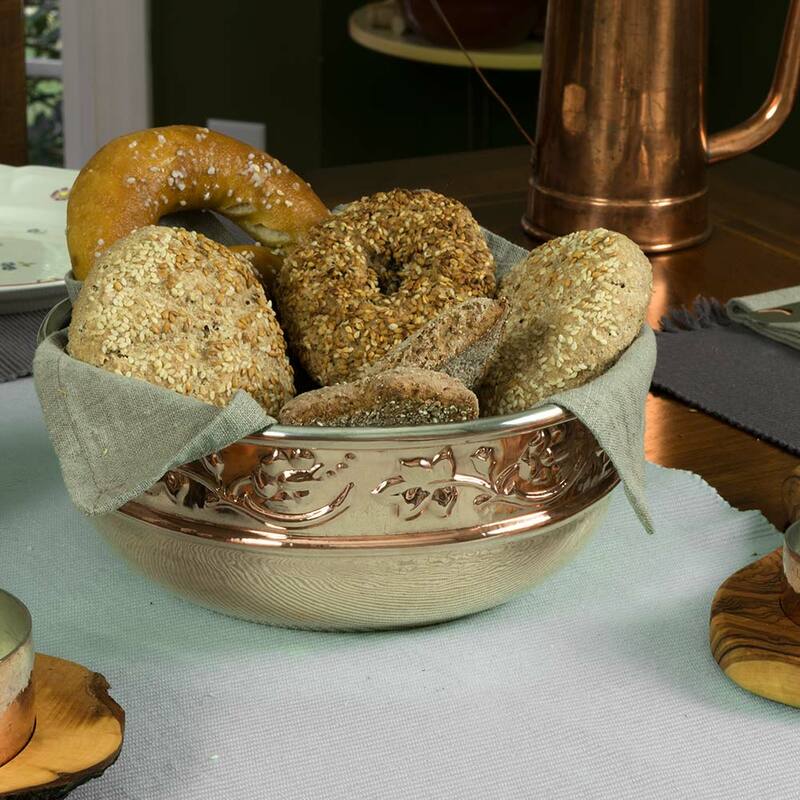 The rim of our copper bowl is enforced and rounded to add extra strength and stability to the bowl. The bowl is completely tin-lined on the inside. We use only 100% pure tin for any of our products utilizing the traditional fire-tinning method. Since the bowl is oven safe up to 450� Fahrenheit (230� Celsius), the bowl can even be pre-heated in the oven or on the stove if desired. 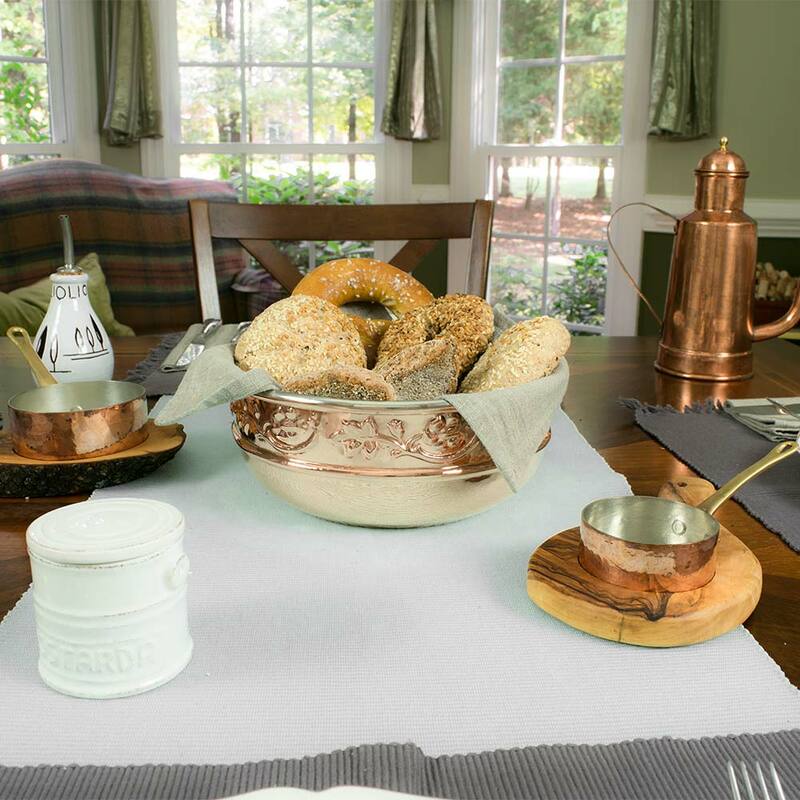 As all of our products, our copper warming bowl is hand-crafted in the Navarini workshop in northern Italy. 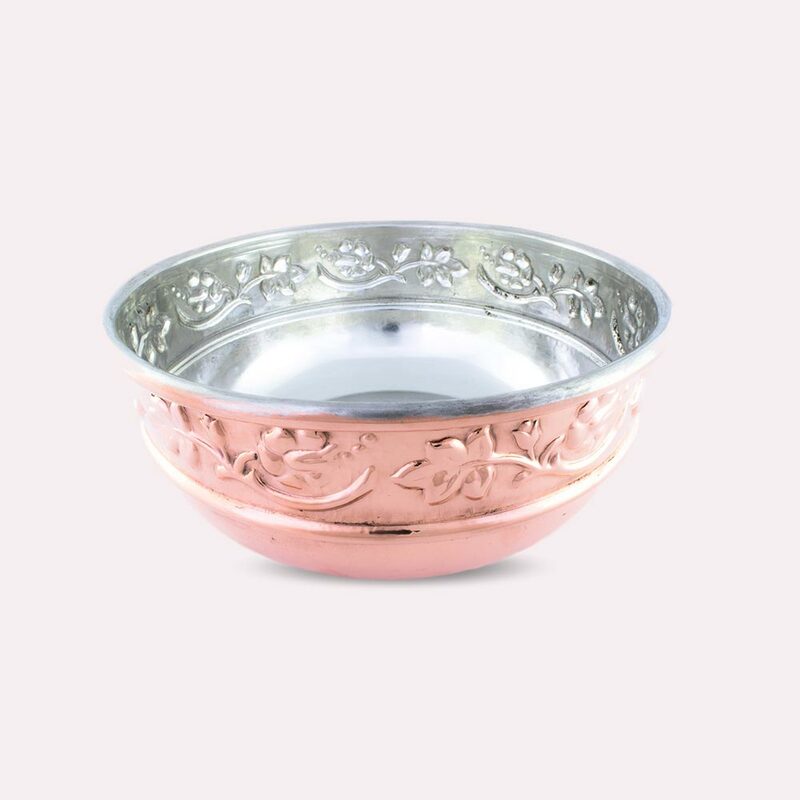 The body of our warming bowl is constructed from one single sheet of copper ensuring absolute even heat distribution from the base to the sides of the bowl. 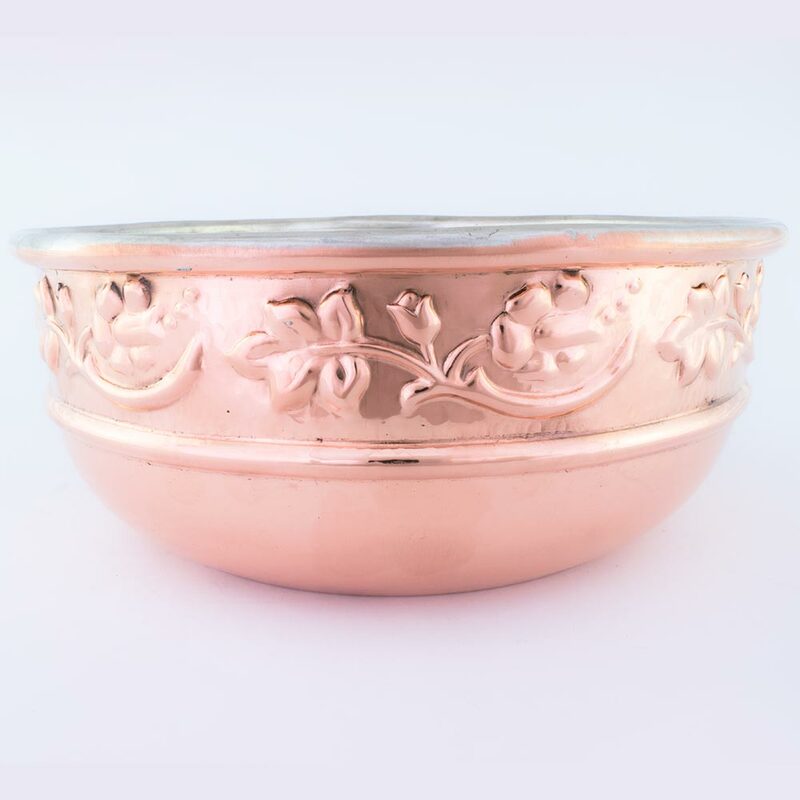 The copper used for our copper bowl is pure copper with a thickness of 1mm ensuring a quick and even heat distribution throughout the entire bowl regardless of the heat-source used. As most of our larger copper products, our copper warming bowl will arrive packed in a beautiful blue "Bottega Navarini"� cloth bag. Not only a fitting bag for our beautiful copper products but already treasured by our customers as a sign of an original Navarini.